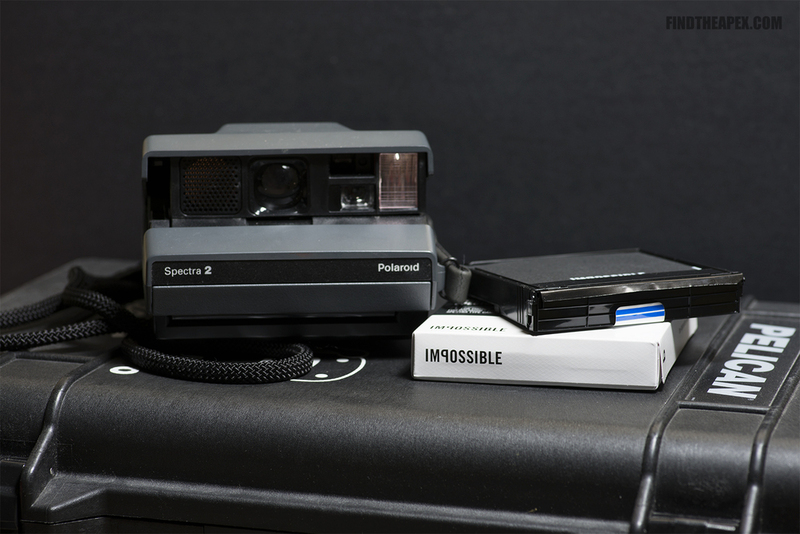 A Polaroid camera was something I always wanted to have but never got around to buying one. I was lucky enough to be given one for my birthday! My coworker was actually cleaning a house to help raise money for a local Boy Scout troop. Long story short it was a garage sale finding. She tested it and it did fire, but who knows how old that film was or how long it's been sitting in a hot house. Hearing all that was very encouraging and I could not wait to buy some film. Once the day was over, I rushed home to do research on my new camera. I never knew that there were different film types for Polaroid cameras. I thought they all used the same time. I placed my order a set of color and b&w film. Waiting for the film to arrive was dreadfully long. The film arrived and I went to try it outdoors. There was plenty of light left even with the sun setting. I think that's where I went wrong, I failed to read the instructions and end up with nothing. I didn't realize it had to be shield from light for the first few seconds. Now having an understanding of went wrong. I tried again indoors with a test shot of my gear left out from the drift event. I was so afraid of ruining another photo. I taped the film box to the camera. So it was catch the photo as it came out the camera. I patiently waited for 10 minutes to check the results. Those 10 minutes felt like an eternity, I couldn't wait to see the results. I was worried that I would be stuck with a broken camera with unused film inside. I carefully pulled the tape off and saw that photo came out. No photo of just black! Everything works like it should! I was so excited. I couldn't believe that I actually have a functional camera and it didn't cost me anything. I had to use my camera at every chance I could. Spread some joy one photo at a time. It makes it worth it every time. Seeing people's faces light up as the photo develops right before their eyes.